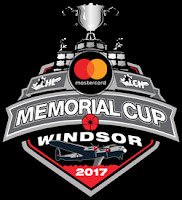 The OHL-champion Erie Otters opened the Memorial Cup with a 4-2 victory over the WHL-champion Seattle Thunderbirds on Saturday in Windsor, Ont., in a game that wasn’t as close as the score would seem to indicate. . . . G Carl Stankowski was Seattle’s best player, finishing with 31 saves and giving his side a chance to win a game in which Erie really was the better team. . . . In the first two periods, Erie outshot Seattle, 12-8 and 17-6. . . . Still, the teams were tied 2-2 going into the third period. . . . Erie F Alex DeBrincat opened the scoring, on a PP, at 5:40 of the second period. . . . Seattle tied it at 9:01 as F Scott Eansor scored. Eansor, a left-hand shot, beat G Troy Timpano off the rush from the right faceoff dot. . . . Erie went back out front at 17:59 as D Jordan Sambrook walked out of a corner, took the puck to the net and stuffed it past Stankowski. . . . At that point, Erie had a 16-4 edge in second-period shots. . . . The Thunderbirds tied it with 52.6 seconds left to play as D Austin Strand moved in from a point and scored over Timpano’s catching mitt. . . . Erie F Dylan Strome broke the tie at 1:36 of the third period, as he scored off the rush. He drove to the net, eluded the checking of F Keegan Kolesar and somehow backhanded a pass from F Taylor Raddysh past Stankowski. . . . F Christian Girhiny iced it with an empty-netter at 18:41. . . . Timpano finished with 18 saves. . . . Erie was 1-3 on the PP; Seattle was 0-2. . . . Announced attendance: 5,259, and there were a lot of empty seats. . . . G Rylan Toth, 20, was in uniform for Seattle for the first time since March 11. Toth, who led all WHL goaltenders in regular-season victories (36), played the first period against the Portland Winterhawks on March 11, stopped all 11 shots he faced and then was removed for what Taking Note was told at the time was precautionary reasons. He hasn’t played since then. . . . G Matt Berlin, who was on the bench for all 20 of Seattle’s WHL playoff games, was scratched to make room in the lineup for Toth. . . . F Haydn Hopkins, 20, was among Erie’s scratches. He has played 53 regular-season WHL games, split among the Saskatoon Blades, Prince George Cougars and Vancouver Giants. He had three goals and seven assists in those games. Hopkins, who is from Victoria, had a goal and three assists in 31 games with Erie last season. This season, he was pointless in four games, before adding two goals and an assist in 10 playoff games. . . . F Landon Quinney, who turned 19 on April 27, is on the Saint John Sea Dogs’ roster but hasn’t played since undergoing an appendectomy late in the regular season. He had a goal and seven assists in 35 regular-season games. Last season, he had three goals and 13 assists in 69 games with the Moose Jaw Warriors. . . . The Thunderbirds (0-1) are back at it today (Sunday) when they meet the host Spitfires (1-0) at 4 p.m. PT (7 p.m. ET). Windsor opened the tournament on Friday with a 3-2 victory over the QMJHL-champion Sea Dogs.Andy Eide of 710 ESPN Seattle has a game story right here.Terry Koshan of the Toronto Sun was there, too, and filed this story right here.——Mike Babcock, the head coach of the Toronto Maple Leafs, stopped by the Memorial Cup on Saturday. This right here is worth a watch/listen. ——If you enjoy stopping off here and would care to make a donation to the cause, please feel free to do so by clicking on the DONATE button and going from there.If you have some information you would like to share or just a general comment, feel free to email me at greggdrinnan@gmail.com.If interested, you also are able to follow me on Twitter at @gdrinnan.